(Video) How to Build a Self-Feeding Fire That’ll Last More Than 14 Hours! 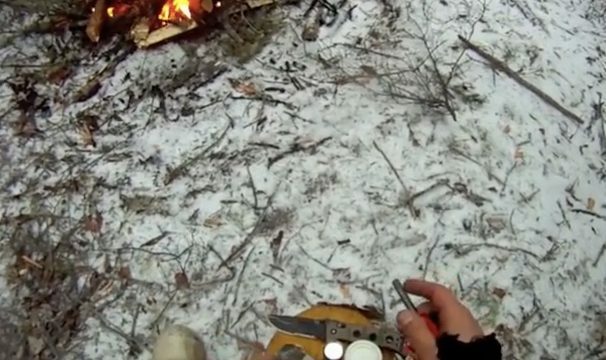 (Video) This Survival Item Has a Dual Purpose: First Aid and Fire Tinder! (Video) He Just Poured Sugar, But a Couple of Seconds Later? This is the Best Survival Hack EVER! (Video) Check Out the Differences Between an Egg VS a Gas Torch During an Experiment. WOW! (Video) When I Learned About a Fire Starter Hack That Extends a Fire, I Added it to My Bug Out Bag Right Away! (Video) This Man Demonstrates How to Make an Upside Down Fire During the Winter. How it Turns Out? Pretty Impressive! (Video) This DIY Brick Rocket Stove is an Excellent Heating Source for Cooking and That’s Not All!